Just weeks after Hurricane Katrina savaged the Gulf Coast, another monster, Hurricane Rita, is heading there. 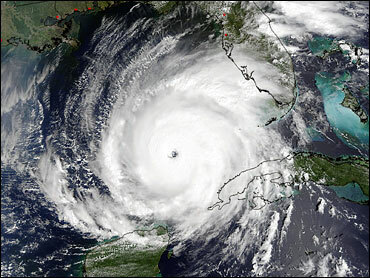 Several hurricanes pounded Florida last year. That has plenty of people wondering what's going on: Are hurricanes getting stronger and more frequent? It seems, Mitchell observes, Mother Nature has mood swings. In the '50s and '60s, the Gulf Coast was hit hard and often, as storms such as Audrey, Donna, Betsy and Camille came ashore. In the '70s and '80s, that same region had only one major hurricane, Frederic, which hit Mobile, Ala. in 1979. But since 1990, the number of big hurricanes in the Gulf region is up again and, says Bell, there's no end in sight: "We can expect continued high levels of hurricane activities and high levels of hurricane landfalls for the next decade, or perhaps even longer." Why? Bell says hurricane cycles are primarily driven by rainfall patterns in Africa and the Amazon basin. "Those rainfall patterns tend to last for 20 to 30 years at a time," he explains, "and as a result, so do the wind and air pressure patterns over the Atlantic that control hurricane activity." There are other factors as well, such as warm water, which hurricanes feed off. Sea surface temperatures have risen, Pinkston notes, but scientists point out that ocean temperatures go through cycles as well, and that we're in a warm cycle. Still, many in the field believe global warming may be at least a contributing factor in increased water temperatures. "The water temperature is quite essential to the strength of a hurricane, and it only takes 2 to 4 degrees Fahrenheit to be the difference, to being able to support a Category 3 hurricane and a Category 5 hurricane," says Michael Schlacter, a meteorologist with Weather 2000. "So (whether) it's global warming, the cycles, or just a hot summer, those little bits of increase in temperature can mean a big difference in how severe the storms are." How concerned should people be who live in an area that's susceptible to hurricanes? "I would be very concerned," Schlacter warns. "As far as Americans love being near the beach, and as far as we have severe weather that's constantly threatening these coastlines, it's kind of a teeter-totter that we're going to be living with for some time."